On Monday night I had the absolute pleasure of being invited to the opening night of Annie at the Storyhouse in Chester. The Storyhouse is Chester’s newest theatre and it is such a welcome addition and one that has become a quite the community hub with a library, cinema, restaurant and wine bar often hosting a whole range of events and activities for all ages. Annie is at The Storyhouse from Monday 25th March till Saturday 30th March 2019 with both matinee and evening performances. For anyone who doesn’t know the story of Annie it is an old classic set in 1930’s New York and tells the tale of a young orphan girl who’s life is twist turned upside down when she is chosen to spend two weeks over Christmas with billionaire, Oliver Warbucks. This musical adaptation has been put together wonderfully and is in-keeping with the original with so many recognisable characters and scenes with a few extra treats thrown in too. The production team have ensured that Annie is a non stop energetic performance form start to finish with toe tapping hit after toe tapping hit, including some numbers that you are sure to know whether you are an Annie super fan or being introduced for the first time including Tomorrow and It’s a hard knock life, it will be impossible not to sing along. The cast are, without exception, phenomenal but for me it was the children that completely stole the show. How such young individuals can be so talented and so confident amazes me but each and every child on that stage was incredible with a special mention having to go to Ava Smith who played Annie, who actually managed to give me goose bumps with her opening number, and Tia Grace Isaac who played Molly. The awful Miss Hannigan is played by the brilliant award winning Anita Dobson who you may recognise from Eastenders and who does such a fantastic job of going from down right awful to sickening sweet and a dirty flirt in a heart beat that it is hard to imagine that that isn’t her natural persona as the transitions are just seamless. Anita has a way of making you love and despise her all at the time, whilst also laughing along with her shameless ways. Alex Bourne plays Oliver Warbuck and he is everything you want him to be, cold and professional with a vulnerability that will make you love him and if you don’t already know how the story ends you will certainly find yourself routing for him on more than one occasion. For any Annie fans that are reading this and wondering how Annie can be Annie without Sandy well worry not because they actually have a real dog up on stage playing the lovable hound. Which I will admit is very cute but I do feel he could have featured a lot more as opposed to one scene and then a couple of sprints across the stage but the thought is there and it beats a Sandy free version. Over all the show was incredible and although the running time is 2 hours 20 minutes you will feel like it is over in the blink of an eye and wishing it would go on for longer. It is the perfect family show with a story line and musical bursts that will keep adults and children engaged throughout and unlike some theaters there isn’t a bad seat in the house so you are guaranteed a fab view no matter where you are. The only other point I want to mention, as I know that there was a lot of discussion on my facebook page about this, is the cost of the tickets and whether it is worth booking tickets for Anne at the Storyhouse as they are more expensive than the majority of other productions that the Storyhouse have held before. I can confidently confirm that it was an exceptional show of West End caliber and although I didn’t expect to write this I do most definitely think it is worth the slightly higher price tag and I am sure that if you do choose to treat yourself to tickets you will not be dissapointed. If you have already been to see Annie at the Storyhouse or do decide to go I would love to know what you thought was the best bit in the comments below. 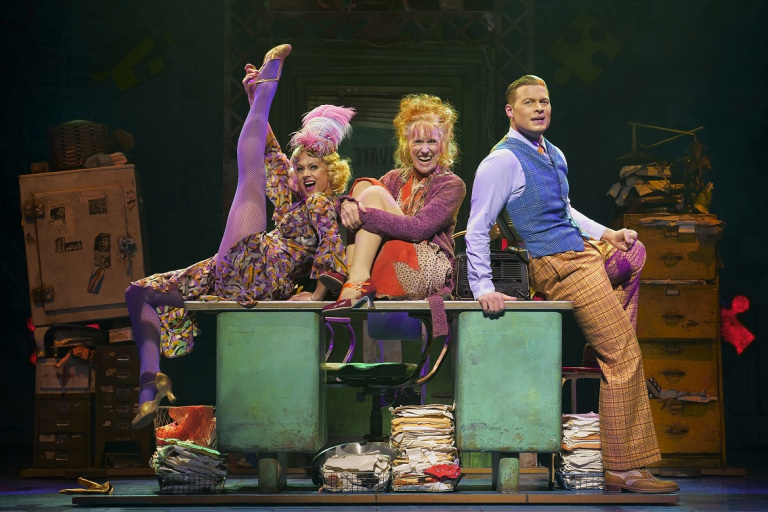 (We were gifted two tickets to Annie at the Storyhouse in return for an honest review).